The Time Delay Control Switch Relay (TD-CSR) provides an Arc Flash Safe method of Local Breaker Control that does not require SCADA. The TD-CSR expands the functionality of the field proven CSR design to include a new Time Delay Feature. Two front panel mounted push buttons are integrated into the lighted nameplate package. This provides the ability to manually initiate a time delayed breaker trip or close operation. Flash of the appropriate LED alerts the operator of a pending trip or close operation to allow adequate time to evaluate the ‘Arc Flash’ area. 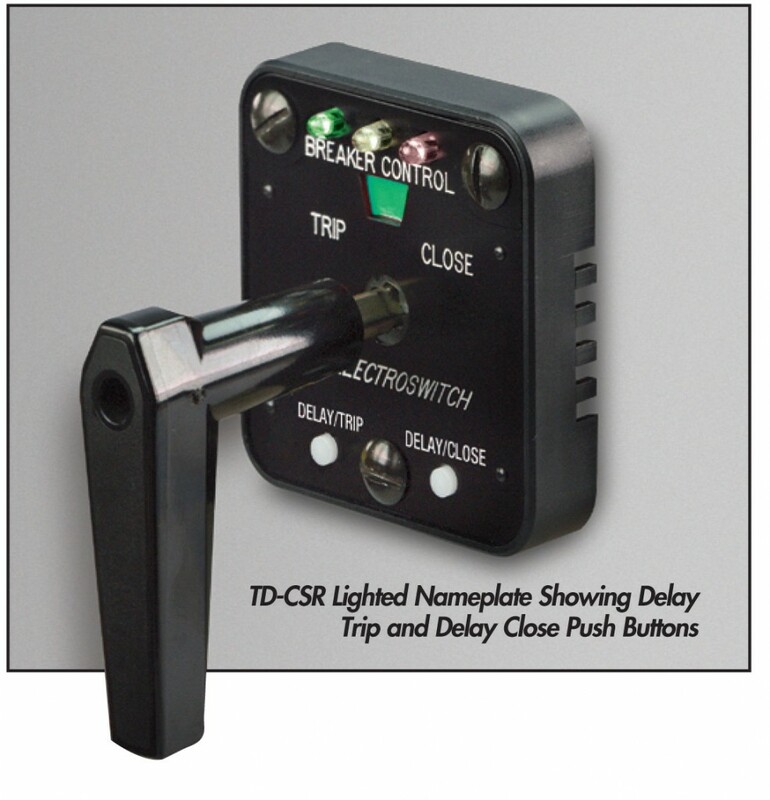 The TD-CSR is available with all of the features and options of the standard CSR. The lighted nameplate includes local LED indication, a remote SCADA contact alarm, and a single or dual trip coil monitoring option. © 2019 Automation Products | Pittsburgh, PA.